With the Gimp open, go to your Facebook page. 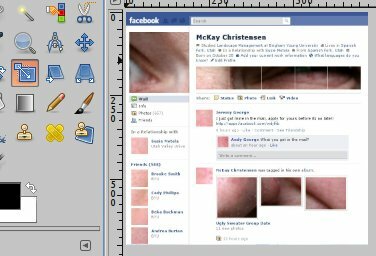 Take a screenshot of your Facebook page and keep it open in the Gimp. Probably wise to save your document at this point as well. Use the crop tool to edit out only the part of the Facebook page you want. 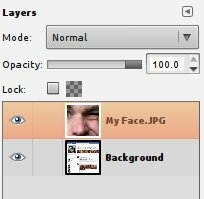 Drag and drop a picture of your face or some other image that you would like to use into the Gimp. Make sure the image is bigger than the screenshot. It will probably be too big, but don't worry about that yet. We will work on that later. 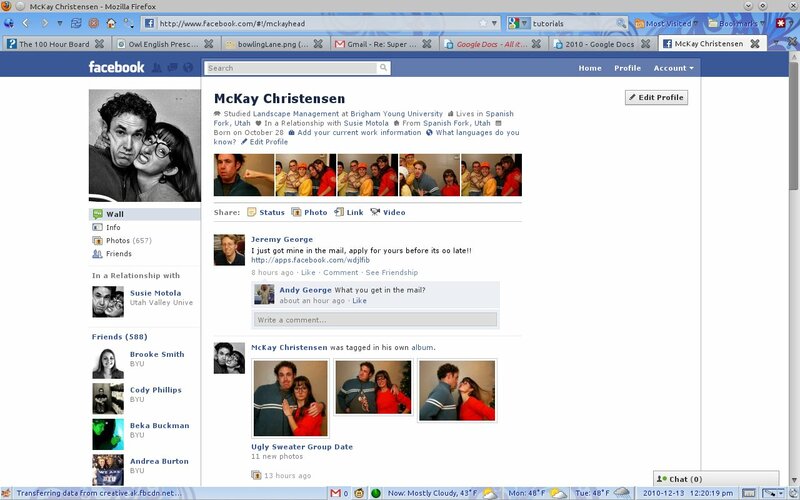 Move the background layer above the new image you just imported, so your Facebook screenshot is on top. 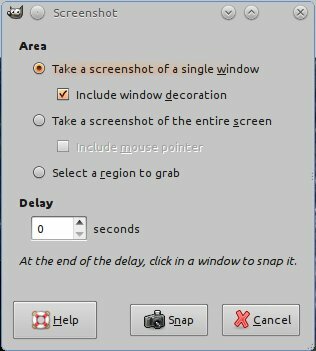 Use the rectangle select tool to highlight all of the images on the screenshot. Press the delete key to delete. Use the resize tool to resize your image to something that fits well on the page. 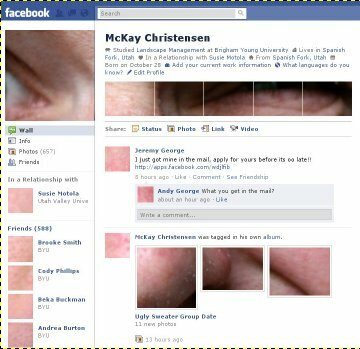 Use the move tool to move the image where it looks best. If you don't like it, swap in another image to see what it looks like! how about for a fan page??? ?